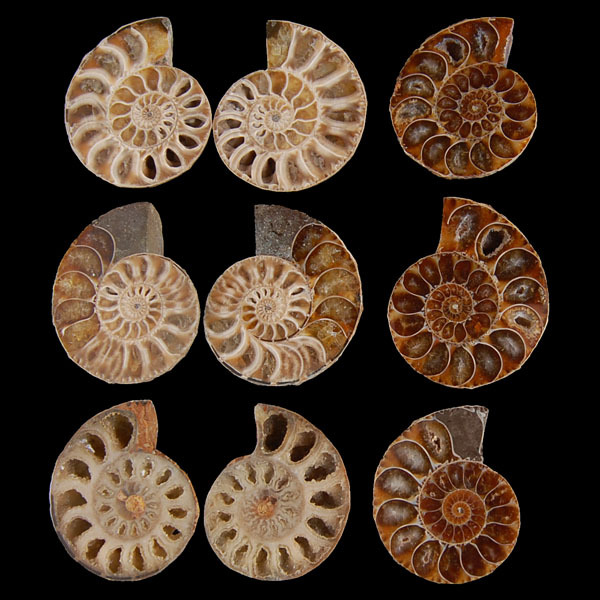 Fossilized ammonites that have been sliced in half to reveal the detail of the internal chambers. The coloration comes from different minerals that have precipitated over time in the chambers to produce the fossil. John Ray wrote many letters to Llywd, bouncing ideas off him about the nature of fossils. Llywd still supported an idea that fossils were constructs of nature. Here Ray speaks of Llywd’s plans for a book on these “formed stones.” I like this quote because it represents a respect for ideas about willingness to challenge each other with ideas and evidence. Ray is telling Llwyd he should come up with method of interpretation for himself and apply it as best he can before being subject of influence of another. As far as I can tell, Llywd never did change his mind about the origin of fossils despite many discussions with Ray. But then, Ray is never fully committed to his ideas that fossils represent formerly living things as he always finds good reason in his friends arguments as well. 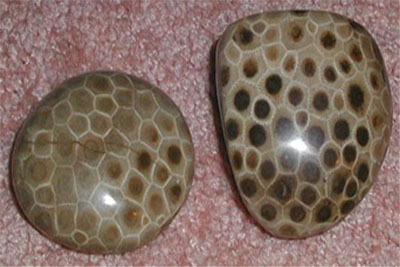 These are two polished Petosky stones. So called because they are commonly fond on the beaches of lake Michigan near Petosky, MI. These are fossilized coral. There are entire fossilized coral reefs that cover many square miles in Michigan and pieces that break off along the beach get smoothed by wave action. Most of these letters involve discussions of shells as they were the most readily available type of fossil to both of them. The picture above of ammonites would be the type of fossil they would discuss. How could rocks grow to look so much like a shells such as these? Clearly they are made of crystallized material which Llwyd and others described as either growths in the rock like salt crystals or as the result of “seeds” of the earth. For Ray, he looked at fossil shell beds that had complete shells, broken shells and some that were open (death pose) and closed and could not conceive of the ground as forming these stones that mimicked present day communities of bivalve communities. On the other hand the pictured Petosky stones are of such a geometric pattern that both could accept that some form of crystal forming process could form rocks that appear this way rather than their being the remains of coral and so these rocks were mimicking the living world. Fossil ferns: Both Llwyd and Ray would have been familiar with fossils such as this one. In another post there was a quote by Ray in which he remarked that leaves generally have two distinct sides and if fossils. 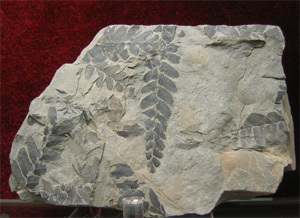 Should fossils exhibit, as they do, both of these sides on the same plate it was hard for him to imagine that these shapes of fern leaves could have formed to copy these specific features. Good question! For Ray, this was an obvious question. If nature (note: nature has a special meaning for both Llwyd and Ray that I don’t have time to explore here but it isn’t exactly equivalent with today’s definition) could produce such amazing representations of living things why should it stop with shells and fossil fish bones and not reproduce representations of other land animals. This would have been a curious thing for both of them. Today, we would recognize that the fossil bearing rocks that Ray and Llywd were familiar with were formed in a shallow sea few mammals would be expected to be around to fossilize. Dinosaurs were not described until the 1800s. There were a few large leg bones from dinosaurs that had been found but rather than sports of nature or formed stones these obvious bone-shaped rocks were described as the bones of giants perhaps proof of the Nephilim of the Bible. As a result they really didn’t play a large part in the discussion of the origins of fossils. « Creation on the Internet: Where Do We Go to Learn About Origins?